My office is a never-ending pile of papers. It may start out as some school papers, or mail and suddenly becomes piles of papers. I never can find the one that I am looking for easily and end up resorting the piles over and over again. So, I have set out on a mission. I am going as paperless as possible. Scanning has become my new best friend. I purchased a new scanner that is light enough that I can carry it inside my purse. The combination between this and scanner apps for my phone will be the lifeline that I have been looking for. I am also going to be using Evernote to help organize my papers, but something as simple as your hard drive works just as well. This is going to do amazing things for my recipe collection and other miscellaneous papers that I just never know when I will need. I’m going to warn you….initially, this isn’t an easy process. My first step was going pile by pile and scanning in the items that I wanted to keep. The key is to digitally organize your items as you do this. Don’t wait to change file names or stick the files into folders, because then instead of paper clutter you will have digital clutter. My biggest pile is my recipes. I am a bit of a recipe junkie. This process, isn’t going to be easy, but I just think about the big bin of recipes that will go away and the searchable database I will have at my disposal. Only touch each paper once. Pick it up, decide what you are going to do with it and commit. If you are scanning it then shred it or throw it away. No shuffling it around or scanning and keeping! If you are saving your files on your computer make sure to BACK UP – self explanatory! Put systems in place for day to day items like school calendars or receipts. Then stick to the system. Especially don’t change it unless you have truly given it a chance to work. There is some things that you will need to keep the paper copy. File these away. Scan in your favorite articles and pictures from your magazine stash. You’d be amazed at the space this will create for you! Last but not least, don’t second guess yourself. If your gut says to get rid of it then do it! I’m enjoying my life filled with less paper, but have quite a ways to go. What are your tips to go paperless? If you’re not a first-time mom, you already know that baby’s room can get VERY messy and disorganized with all the diapers, clothes, toys, books, accessories, etc. To keep it neat and controlled, it’s a good idea to have a plan for your nursery organization. Keep in mind that storage pieces are your friend, and the smaller the room, the more you’ll need them! Here are some tips to help you achieve the most organized nursery ever! If the closet is a decent size, keep the doors open or remove them completely and use the space for things that would normally crowd the floor. In some cases you might be able to fit a dresser or changing table in it, and use the rest of the space for hanging storage or shelving. Most baby clothes don’t need to be hung up, but you can use hanging sweater bags that create shelves for a variety of items, including spare blankets. It’s better to have a dresser with a changing tray on top as opposed to an actual changing table because it will give you more storage options. There are things you’ll be using every day – multiple times a day – such as diapers, wipes, baby powder, undershirts, burp cloths, etc. Keep these items close to the changing table so you don’t ever need leave the baby unattended or risk them falling off. Keep the toiletries in a small box or bin that stays on the changing table or on a side table next to it. The trash can or diaper genie and the hamper are two other things to keep near. Diaper stackers are useful and do double the work, acting as both storage and décor (check out our diaper stackers like this Alphabet Animals-themed one)! Everything “baby” is itty bitty, and they can get lost in the mix easily. Use drawer dividers for small clothing like socks, caps, etc. and over-the-door shoe organizers for things like shoes, pacifiers, and toys. Store clothes in order of relevance and size. Socks and undershirts are going to be the things you change and use the most, followed by comfortable sleeping gowns and footed sleepers. Two piece sets and more formal clothing will most likely be used the least. Arrange these in your drawers with the socks and undershirts in the top drawer, and so on in descending order of use. You don’t want to have to bend to the lowest drawer 20 times a day! Also, arranging clothing by size will keep you more organized. You’ll know that the “this section” is for newborn, “this section” is for 0-3 months, “this section” is for 3-6 months, etc. Store outgrown clothes outside of the nursery. 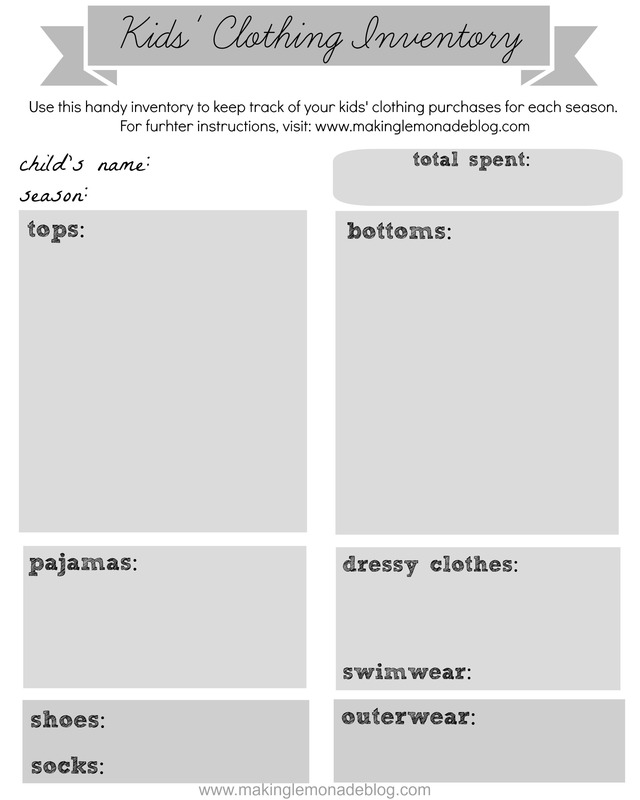 When your baby outgrows clothes (it happens fast and often!) store the clothes in a closet, attic, or basement to keep the nursery un-cluttered enough to add new items to grow into. If you don’t plan to have any more children, consider donating them or offering them to a friend. If you have a special item such as the baby’s first pair of shoes or the take-home outfit, make it into a shadowbox to hang on the wall as a nice, sentimental piece of wall art. Well… I know I am mid-holiday craziness. Maybe your house looks like mine? Toys everywhere, overflowing mounds of cookies, bags to be unpacked, laundry to be done, and every other household obligation I have ignored for the past two weeks. Plus, the New Year is just around the corner with resolutions to be set. My theory is – How you START the New Year is HOW the New Year will go! So, this week I will be spending some time getting my home and life back in order from the last month of neglect. I like to do a few things this week to get ready. First, I like to review the last 12 months. What worked and didn’t work in our life? Are there any things that need to be reprioritized? Any things I need to step AWAY from or say YES to – volunteering, work, extra activities? What new rules or chores need to be set for our children? How can I make life easier for myself, my husband, and even my kids? I always enjoy watching the picture slideshows from the past year, so I take time to glance through our pictures on the computer. As I do this I take note of some of our favorite activities that we may want to do this upcoming year. Was that bike ride on the trail a great time this summer? – then I make sure we fit it again. The kids and I talk about some of the pictures and what things they liked or didn’t like as I look through the past year. The next thing I like to do is get the house back into order. I clean out the box under my desk where I have been “hiding” the papers off of my desk so visitors don’t see. I find places for all the gifts we received over the holidays. I go through the fridge and clean it out. Not full-scale organizing but just so it looks a little better on the outside and makes me feel like I haven’t totally lost control. As I do this I make a list of other places that may need a little more attention over the winter. As part of my organizing, I start to take care of some of my holiday things. I like to collect gift bags I receive to reuse next year, cut off tops of holiday cards to donate to school, and keep a list of supplies or decorations I would like to pick up for next year. I also like to write down some special holiday memories from the year. The last part of my week is thinking about resolutions or some goals for the next year. In the terms of resolutions I like to think of September as the start of my New Year, but I do like to review those goals and make some new ones for January. It’s a great time to review what you are doing and tweak it a little or a lot! Every year as I go through my yearly ritual it helps me to remember how blessed I truly am in so many ways! A great way to end the Holiday season and enter into the New Year!